Mötley Crüe is an American rock band formed in Los Angeles, California on January 17, 1981. The members of the band have often been noted for their hedonistic lifestyles and the persona they maintained. 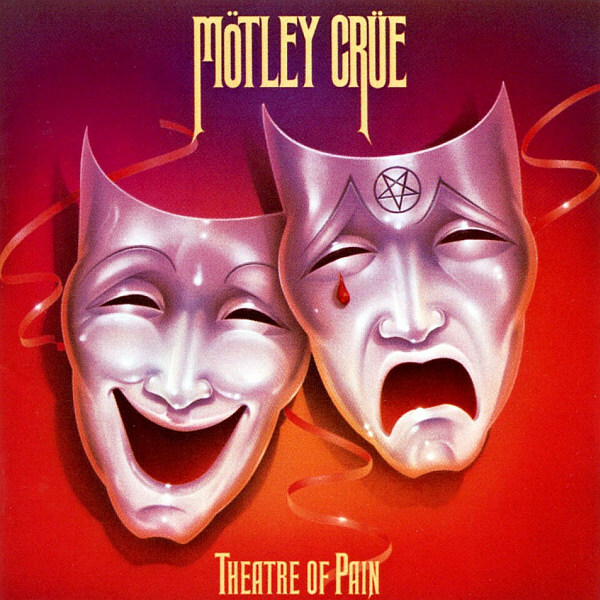 The above is the cover artwork of Theatre of Pain, the third studio album by the heavy metal band, released on June 21, 1985. The album marked a step away from the traditional heavy metal sound of Too Fast for Love and Shout at the Devil towards a more glam metal influenced style. The font used for the album title and the band name on the cover is very similar to Rubens designed by Wooden Type Fonts, or Midnight Moon, a free decorative serif font designed by Hypefonts. If you do not want to download and install the font but just like to create simple text or logos using Mötley Crüe Font, just use the text generator below. The following tool will convert your entered text into images using Mötley Crüe Font, and then you can right-click on the image to save it or click on the "EMBED" button to get links to embed images on the web.